"The main mission of this space satellite is to monitor climate change." Ethiopia plans next year to join an exclusive club of African nations: those with their own national satellites. The country's first satellite, due to be launched in September with China's help and backing, is being put in place in part to track environmental concerns, said the head of the Ethiopian Space Science and Technology Institute (ESSTI). "The main mission of this space satellite is to monitor climate change and assess environmental issues such as proper application of water resources, mining activities and other activities related to environmental purposes," said Solomon Belay Tessema, the director general of the institute. But - among a range of other possible uses - it will also support efforts to adapt to climate change, including crop insurance programmes for small-scale farmers. Better weather data, for instance, will let insurance firms more accurately assess when triggers for payments - such as a lack of rain that kills fodder and crops - have been met, to help get payments to farmers and herders faster when they need them. Melkachew Temsgen, head of the micro-insurance department at Oromia Insurance Company (OIC), based in Ethiopia's capital Addis Ababa, said his company has a steadily increasing number of customers among the pastoralists and farmer who make up more than 80 percent of Ethiopia's estimated 105 million population. Ethiopia having its own satellite technology was once "unthinkable", he said, but it could now prove a help in analysing weather conditions, particularly in remote areas - if the cost of better data is low enough. 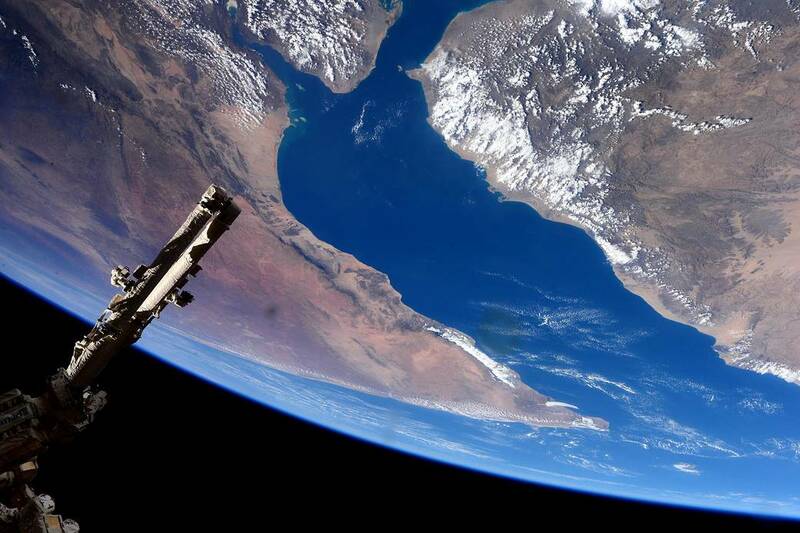 A space station flies over the Horn of Africa. "Currently we are relying on a U.S.-owned satellite to get weather information with lower resolution free of cost. If you want to get higher resolution you are required to pay a fee, which wouldn't be cost effective," Temsgen said. "If Ethiopia owns its own satellite, it would be very much helpful, as the cost to us may be affordable compared to foreign-owned satellites which require payment in foreign currency," he said. The ability to issue insurance payouts based on satellite data - rather than relying on the expensive process of on-site field assessments - has slashed the cost of crop and livestock insurance, Temsgen said, making it affordable for more people. With a satellite "the cost of ground assessment has been eliminated," he told the Thomson Reuters Foundation. The company now hopes to scale up such "index-based" insurance to other parts of the country, and develop other micro-insurance products that rely on satellite technology, Temsgen said. Ethiopian engineers are expected to launch their country's satellite from China, with China providing $6 million in training and financial support for the launch, said Tessema, of Ethiopia's space institute. He said having its own satellite would help Ethiopia build technical skills - and could aid efforts to deal with climate change threats and push ahead the country's goal of becoming a carbon neutral, largely middle class nation by 2050. 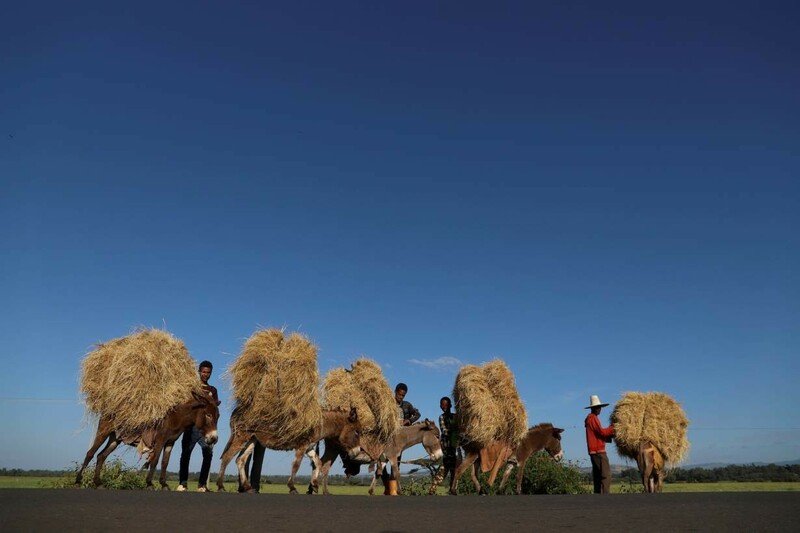 "Ethiopia is a largely agrarian country. However, the Ethiopian government seeks to modernise its agriculture sector, with satellite data playing an important role in the country's modernisation drive," he told the Thomson Reuters Foundation. The satellite, for instance, could clarify agricultural productivity in various areas and monitor water resources, "all of which is needed if Ethiopia is to modernise agriculture and achieve food security", he said. Tessema, however, says richer countries from the United States to China - as well as some of its African neighbours - have used satellite technology to develop their economies. "Many governments view (satellite technology) as crucial to their economic development," he said, arguing that Ethiopia is too late, rather than too early, to the game. "If we had started our space science program 20 years ago, we could have become a top middle income country by now," he suggested. "Space science isn't a luxury but a matter of existence for Ethiopia."